Amritsar, April 13: Today, April 13, 2019, marks the centenary of Jallianwala Bagh massacre, also known as the "Amritsar massacre" which took place 100 years ago. The Bagh or Park is now a public garden in Amritsar in the state of Punjab in India, and is considered a memorial of national importance. It was established in the year 1951 by the Government of India to commemorate the killing of innocent men, women and children who had gathered in the park on the festival of Baisakhi. Jallianwala Bagh Massacre Centenary: Punjab CM Captain Amarinder Singh, Governor VP Singh Badnore Participate in Candle Light March. The crowd had also gathered to peacefully condemn the arrest of two leaders of the freedom movement named Satya Pal and Dr Saifuddin Kitchlew. But Colonel Reginald Dyer, ordered the British Indian Army troops to open fire on the unarmed crowds that resulted in the death of hundreds of innocent lives. The incident had caused a wide outrage in the country. Colonial British Raj tried to suppress the scale of atrocity and identified 379 fatalities and estimated about 1,100 wounded. Historians believe that over a 1,000 people died in the horrific incident among the 1,500 who were injured. UK PM Theresa May Expresses Regret Over Jallianwala Bagh Massacre. 2. On this day 100 Years Back, soldiers of British Indian Army, led by General Reginald Dyer, opened fire at unarmed and peaceful Indian protestors including a large number of women and children, who had gathered at the Bagh on the occasion of Baisakhi- the Punjabi new year. 3. Dyer arrived at the Bagh with 50 soldiers, armed with .303 L –Enfield bolt-action rifles. His team fired 1,650 rounds in about 10 minutes, stopping only when they ran out of ammunition. 4. The massacre is remembered as one of the deadliest attacks on peaceful civilians anywhere in the world. According to estimates, there were over 1,500 casualties of whom over 1,000 died. 5. Considered "the Butcher of Amritsar", Dyer was removed from duty. However, some historians believe that it was Michael O'Dwyer, Lieutenant Governor of the Punjab in India from 1912 until 1919, premeditated the massacre and set Dyer to work. 6. Shaheed Udham Singh avenged the massacre by assassinating Michael O'Dwyer in 1940. Michael O'Dwyer had endorsed Colonel Reginald Dyer's action regarding the Amritsar massacre and had termed it a "correct action". 7. The Jallianwala Bagh Massacre proved to the beginning of the end of British rule in India. 8. UK Prime Minister Theresa May recently expressed regret over the worst bloodbath committed by the British Army during the colonial period, terming it as a "shameful scar" on British Indian history. 9. 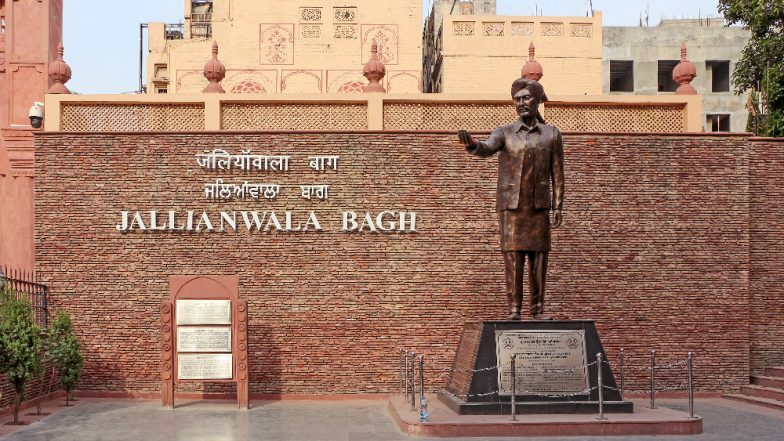 The Punjab government will build a memorial in Amritsar from the soil of 13,000 villages of the state to pay tribute to the martyrs of the Jallianwala Bagh Massacre to mark the 100th anniversary. Rabindranath Tagore, the first nobel laureate for literature from Asia, returned his nobel prize in protest of the Jallianwala Bagh Massacre and in 1940, Shaheed Udham Singh, a freedom fighter, shot dead Michael O'Dwyer who was the British Lieutenant and Governor of Punjab at the time of massacre in an act of retaliation. The monument built near the park is today a legacy that inspires every Indian and reminds one of the innocents who lost their lives in an attempt to raise voice for their country. The incident is also depicted widely in popular culture across media through songs, and movies made on the incident.